Siri 🙂 and 🙂 Selma gave Dina and me, “because we are so dear“, the book of the Norwegian author, publisher and greatest living explorer Erling Kagge “Silence in the Age of Noise“. This book has moved us and made us rethink our way of life. We hadn’t had this reading-experience for a long time. It’s about the noble art to find yourself, to become quiet. Siri 🙂 und 🙂 Selma schenkten Dina und mir, weil wir “sooo lieb sind“, das Buch des norwegischen Autors, Verlegers und größten lebenden Explorers Erling Kagge “Stille. Ein Wegweiser“. Seit langer Zeit war dies wieder ein Buch, das uns bewegte, unser Leben neu zu überdenken. Es handelt von der edlen Kunst, zu sich selbst zurückzufinden, stille zu werden wie das Baby beim Stillen. Our first bookish encounter with silence occurred many years ago reading Wittgenstein’s “Tractatus Logico-Philosophicus“. There we found the much-quoted last sentence of this text, “What we cannot speak about we must pass over in silence“. Back then we have been far away from understanding all the connotations of this statement. Our beloved Bookfayries even thought in youthful ignorance this sentence is uninspired and rather trivial. Unsere erste Begegnung mit der Stille und dem Schweigen fand vor vielen, vielen Jahren statt, als wir Wittgensteins “Tractatus Logico-Philosophicus” lasen und auf den vielzitierten letzten Satz dort trafen, “worüber man nicht sprechen kann, darüber muss man schweigen.” Damals waren wir weit davon entfernt, alle Konnotationen dieser Aussage zu verstehen. In jugendlicher Ignoranz fanden unsere geliebten Buchfeen diesen Satz geradezu lächerlich platt. After having read Kagge’s book we understand the dimensions of silence better, that what Wittgenstein wrote in a cottage at the Norwegian Sognefjord in 1917 drowned in the silence of his surroundings. The silence, sung about by the Romantics and always encountered by them in nature, is the real luxury of our times. It takes us back to ourselves in a time we mostly live through others. We are sitting in front of our screens obsessed by the social media collecting friends like stamps. We are happy about every LIKE and comment and lose ourselves without noticing. That’s the darn addiction to get recognition which makes us unhappy. All this vanity – enviable who has none! Kagge drew our attention to Heidegger who was visionary by writing in “Being and Time” (1927, quite an unreadable book) “Everyone is the other, no one is themselves“. This especially applies to our hyperconnected society that makes us, in the words of our dear Bookfayries, stupidity see as creativity. Heute sind wir älter und nach dem Lesen von Kagges Buch, verstehen wir einige Dimensionen, die Schweigen und Stille beinhalten, das, was Wittgenstein 1917 in einer Hütte am norwegischen Sogneford, von Stille umgeben, niederschrieb. Die von den Romantikern viel besungene Stille, die diese stets in der Natur fanden, ist der Luxus unserer heutigen Zeit. Sie bringt uns zurück zu uns selbst in einer Zeit, in der wir zunehmend durch andere leben. Da hocken wir vorm Bildschirm besessen von den sozialen Medien und sammeln Freunde wie andere Briefmarken. Wir freuen uns über jedes Like und jeden Kommentar und kommen uns so unmerklich selbst abhanden. Das ist diese verflixte Sucht nach Anerkennung durch andere, die uns unglücklich macht. Diese Eitelkeit – beneidenswert, wer frei davon! Kagge machte uns darauf aufmerksam, dass Heidegger in visionärer Weise schon 1927 in “Sein und Zeit” bedauerte, dass jeder ein anderer ist und keiner er selbst. Dies trifft besonders in unserer “hyperconnected” Gesellschaft zu, die, wie unsere Buchfeen es kühn ausdrücken, dumme Beschränktheit als Kreativität erscheinen lässt. Silence always was connected with fear. That’s the horror vacui, fearing the nothingness that’s eating our personality. Maybe some of you experienced this during meditation. Before our inner monologue vanishes in the background, before you really relax to reach in the here and now, we have to cross the threshold of fear. You have the feeling to dissolve, to become nothing before you become yourself. That’s what the Sufis and Gurdjieff were expressing by saying “die before you die“. Siri 🙂 and 🙂 Selma liked most Kagge conviction that you don’t have to withdraw into monasteries or the wilderness like Thoreau but you can find silence in our noisy world by turning inside yourself. Gurdjieff had a similar idea writing you have to find yourself in your everyday work. Stille wurde stets mit Angst verbunden. Das ist der horror vacui, die Angst vor dem Nichts, das unsere Persönlichkeit auflöst. Vielleicht kennt ihr dieses Erlebnis von der Meditation. Bevor man den inneren Monolog in den Hintergrund treten lässt, bevor man sich tief entspannt, um im Hier und Jetzt anzukommen, muss man eine Angstschwelle durchschreiten. Man hat das Gefühl, sich aufzulösen, ein Nichts zu werden, bevor man man selbst wird. Das meinten wahrscheinlich die Sufis und Gurdjieff, mit ihrer Empfehlung “stirb, bevor du stirbst“. Was Siri 🙂 und 🙂 Selma jedoch am meisten an Kagges Buch lieben, ist seine Betonung, dass wir für die Erfahrung der Stille uns nicht von der Welt in Klöster oder wie Thoreau in Einöden zurückziehen müssen, sondern sie in unserer heutigen lauten Welt finden können, eine Idee, die uns schon bei Gurdijeff faszinierte. This entry was posted in Norway and tagged adventurers, Erling Kagge, Explorers, Heidegger, Noise, Norway, silence, Wittgenstein. Bookmark the permalink. Looks like an amazing read and I must add it to my wish list. we suppose there are many parallels between Hinduist and Buddhist philosophy and Kagge’s philosophical writings about silence. I agree with you and Erling Kagge, silence is VERY important. Without silence no creativity, and silence is healing, isn’t it? Coming from Svalbard it was always easy for me to find places without any sounds except nature-sounds. Living partly in Germany now, I understand how important it is to find your inner silence in a surrounding that is polluted by noise and pictures. There are too much distractions, too many impulses, and there is an attitude to want MORE in every respect. I could write more and more 😉 about this. we immediately understood how important silence is reading Kagge’s book. The basic ideas reminded our dear Master of ideas of Gurdjieff and Buddhist teachings. We are in the privileged situation here that we hear hardly any artificial sounds besides nature sounds. But like everybody we are surrounded by noise, acoustic and pictures, the moment we go to our next market town or open our computer. Wow. The photo of the author is one of the strongest portraits I have seen for a long time. Excellent pairing to the text. I’m heading right over to Amazon to get his book. It’s seldom I get this wow-effect when I see or read something. Well done, a great post, Fab Four! When we saw this picture of Erling we were immediately taken by it. We think “silence” is very important in our noisy times, and so we loved writing this text. Great post, Fab Four! I admire Erling Kagge for his achievements. I have seen him on TV many times, his philosophy and way of life are most appealing. Thank you for the recommendation, this book is on my list! we know you will love Erling’s book about silence. We are just starting to read his new book “Gehen. Weiter gehen”. It seems to be as great. Unfortunately, it’s not for sale in English yet. You’ll get in all Scandinavian languages, German and most languages of the European continent. Great book, thanks for sharing this information, dear Fairies! Personally I have rejected social medias at the eraly age of their appearing…and I do not suffer at all. Vanity gulps our time and minds. Have a nice silent week-end! we are a bit like you. Except for our blogging, we keep away from social media like Instagram, Facebook & co. It’s not only that we don’t miss something it’s rather that we gain time for reading and even thinking, for face to face contact and doing nothing. Wunderbar, interessant und so wohltuend in Bild und Wort. Erling Kagge war mir bislang unbekannt, vielen Dank für’s Füllen einer Wissenslücke, und alles Gute und Liebe euch. Ja toll, dass wir dir Erling Kagge nahebringen konnten. Mit den Worten unserer liebklugen Buchfeen “der ist absolute Spitze”. Unsere Kommunikation mit ihm ist easy, obwohl wir ja Lehnstuhl-Explorer sind. die Angaben zur deutschen Ausgabe von Erling’s Buch findest du in der ersten Leseempfehlung. Wir lasen es im norwegischen Original bzw. in Englisch und können dir leider nicht den Verlag sagen. Und wenn’s dir gefällt, was wir nicht bezweifeln, können wir dir gleich sein neues Buch “Gehen. Weiter Gehen” empfehlen, das im Insel Vlg. 2018 herauskam. I doubt I have ever experienced ‘true’ silence in my entire 66 years of life. Silence is impossible when living in a city, and even moving to the countryside, there is still so much sound to deal with. They are good sounds, like wind in the trees, owls after dark, even the distant roar of aircraft in the sky. But silence? 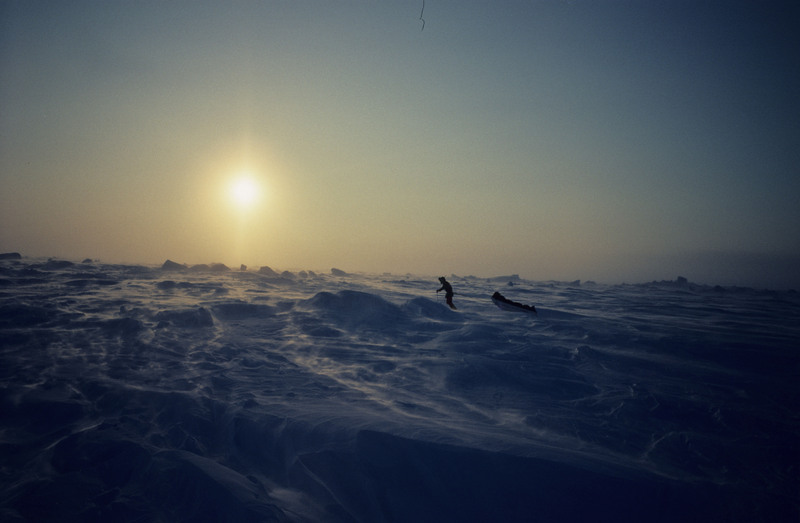 I think it is not only elusive, but perhaps impossible to find, even in those icy wastes. As always, thought-provoking text to accompany wonderful images. it’s very important for Erling that you can find silence everywhere, the silence inside. Like Gurdjieff, he praises to disconnect regularly from the outside world to find your silent inner sanctum. Erling walked in 3 (or was it 4 days?) from one end to other in Los Angelas and even found his inner silence there. All that reminds on my Gurdjieff teacher who taught me “not doing anything”. For my feeling, we do much too much all the time, we pollute the world with even more pictures and words (like I just do). Sometimes I have to force myself finding my inner silence, but when I found it, and even if it’s for a couple of minutes only, I feel open wide and happy. That has not so much to do with my surroundings but I have to admit in the beginning it’s easier in quieter surroundings. Silence is a way of life for me rather than a quality of my surroundings. I love silence, always have. I can’t possibly add anything about it you haven’t already mentioned, except how much I’ve enjoyed it over the years. As a kid, I would open my bedroom window and sit on the ledge late into the night, watching the cold, clear sky pass above me. I showed my son the silence by bringing him to the ocean and just staring out to the horizon – he understood. In this day and age of the “ME’ Generation and looking for things to complain about – Silence is needed more than ever! thanks a lot for sharing your experience with silence. And you wouldn’t believe it Dina and I taught Siri 🙂 and 🙂 Selma just staring out over the sea as well and they love it now. Well, in the beginning, they thought it’s very strange but soon they understood without words. We love your expression about speaking within the sounds of silence. We hope that our blog does this. Ideally, every communication should be a speaking within the sound of silence. That would make the world a better place. You have the words that I am usually groping for. Thank you my dear friends! We have to admit we quite often struggle with the English words. As non-native speakers we are often unsure about the style and expressing subleties. Your commentary helped our confidence writing English quite a lot. THANK YOU! I was fortunate to experience complete silence, waking one morning on Lime Mountain in the remote eastern Superstition Wilderness of Arizona. It was a transformative experience. you were really blessed, blessed to be there and blessed to able to experience this transformation. Wondrously raw and inspiring. Beautifully captured, my friend! Thank you very much, dear Jean. As a young person i always found being on my own very difficult but as Ive got older it is something I enjoy and find comfortable. The book sounds really interesting. People are afraid of stopping, of being bored, but silence is needed to recoup and recharge and to allow fresh ideas to develop. We have the feeling that being bored is a luxury in times of endless activities. Boring has such a negative connotation but it has its light sides as well. Nothing is happening, what a bliss that is. We agree, without silence there is no creativity. Absolutely mesmerising, love it and will definitely read the book, hoping that it will help me change my addiction to noise as well. Loved the silent interview. Awesome! many years ago, when I moved to Norfolk I had a clever teacher. He gave me a kind of koan that’s still important for me “who are you when you are not doing?”. This not doing is a real challenge for me although I always felt how healing it is for me. Not doing is my way to find my inner self but doing this not doing gets harder and harder for me as older I get. It’s strange because actually I don’t need to do anything. Well, it’s absurd. Erling’s book brought me back to put an effort into this resting in my inner self and even it is for a little while only. See you soon and let us try to overcome our addiction to noise together. Sorry, dear Nia, we didn’t know about amazon.tr. .tr is Turkey, isn’t it? You have stirred up memories in me of the old Simon & Garfunkle tune, The Sound of Silence. There is a lot to be said for having nothing to say. On our recent trip thru the state of Oregon our friends took us on a trip to Crater Lake, the deepest lake in North America, which is situated inside the top of a dormant volcano. I experienced the quiet that I have had on mountain tops and in the desert in the past. My wife observed that as we sat looking out at the incredibly blue water, arrivals of visitors slowly transitioned from being noisy groups to quietly reverential people sharing the beauty and solitude around them. That journey inside to discover ourselves ultimately connects us with nature those around us. I have found that no matter how different we might think we are, we are more alike than we can imagine. This is a great post, Klaus. Thank you. thank you very much for sharing your experience at the Crater Lake. Nature makes us silent. We experience the longer we are in real nature the more silent we become. But we experienced as well that it takes a while until our inner monologue is vanishing more and more in the background. To quote Mies van der Rohe, Less is more. Thanks for the quote, dear Allan Ω. We didn’t know that this great architect said it – but, of course, he said it with his designs. Excellent post and really awesome photos! Erling Kagge looks stunning in the first photo, I will definitely get this book. If you have inner silence, then you and your work will be more organised. That’s my experience. Erling K. seems to be very well organised. Being an author, a father, lecturer, publisher and an adventurer, he must have an awful lot of his agenda and still, his calmness is impressive. There are many different kinds of sounds out there that I really like; music, the sound of the horn, the honking of the geese, I love driving with the radio on etc. When I’m upset, nervous, less organised the I start getting irritated by these sounds and then the sound becomes noise to me. Thanks for introducing yet another interesting person from the North, Fab Four! Erling is a very organised person. His expeditions were meticulously prepared and organised and what he is and has done is amazing. You should think one needs more lives for doing all this. You need a connection with your inner silence to do all this and staying grounded and centred. Ich werde mir eure Leseempfehlung gerne einmal anschauen, ihr Lieben. Ja, um Stille zu “finden” muss man sich nicht zweangsläufig zurückziehen und auch nicht schweigen! In der Stille, die der Urgrund allen Seins ist, kann es durchaus laut und munter zugehen. Nur: der stille Friede, der allem unterliegt, bleibt selbst im lautesten Gewirre davon unberührt. Heute haben die meisten Menschen Angst vor dem Alleinsein…und doch liegt im All-Eins-Sein der Friede, den jeder wünscht. Egal, wohin man schaut, im Buddhismus, bei den Sufis und den Meditionsmeistern findet man diese Ansichten, die Erling bestens vermittelt. Brrrrrr but beautiful and I can feel the silence. Only silence in the south I’ve ever found was on a remote(ish) beach before dawn and before everyone else woke up. Maybe it’s a prejudice of our’s, but for us, the South is associated with noise and the North with silence, and this in every respect. When we are in South of Europe or the Americas, for us everything is too much in the South, whereas the North has the tendency for minimalism, what’s nearer to our heart. But we know there actually doesn’t exist “the South” and “the North”. We need snow and ice. Snow makes your surrounding immediately much more silent. It’s the optical clarity of the air and the landscape during the wintertime we love. Here at the North Notfolk coast the beaches are usually rather quiet. About a quarter of an hour’s walk from the car park you will find hardly anybody. The only sounds are those of all the birds. Well, nice nature-sounds but nevertheless the birds can be quite noisy. But this noise we love as well as the noise of the waves kissing the beach. Silence is a rare commodity these days. You were given a wonderful gift with this book. Yes, I know! 🙂 🙂 I even read it twice – what I rarely do. In Begleitung eines Rangers wanderte ich über die faszinierende Halbinsel St. Bartholomä am Königssee und erfuhr dabei viel Interessantes über die einzigartige Natur des Nationalparks. Am meisten hat mich die Tatsache, daß man in dieses Waldstück absolut keine Geräusche der Aussenwelt wahrnimmt, beeindruckt. Es ist absolutt still. Dies ist einzigartig in Deutschland. Viele kommen hierher um die Stille zu lauschen, den Flügelschlag eines Insektens ist hier hörbar. Many visitors come to St. Bartholomä/Königssee to listen to the nature like the sound of the wings of an insect for instance. It’s the only place in Germany totally without any humanmade sounds, totally silent. Wir wussten gar, dass es in Deutschland solche Plätze gibt. Wir dachten, die gibt es nur bei uns im Feenreich. nicht weitersagen, wir haben uns über Masterchens notebook hergemacht, da wir ganz im Sinne der Stille unsere MacFayr ausgeschaltet haben. Bätsch, das habe ich aber gelesen! LOL! Well, the squirrel does have a mischievous streak in him. the squirrel was seen as one of the devil’s animals during the middle ages because of its red colour. But even before that, the old Germanic tribes saw the squirrel as Loki’s animal. Loki (old Norse Loptr, Hveðrungr) is a god with many negative attributes. Isn’t that funny? Walt Disney dispelled that myth completely with his movie about Perri the squirrel (based on Felix Salten’s “Perri”). Now everyone loves squirrels and thinks of them positively. did you ever came across Roland Barthes’ studies of modern mythologies? New mythologies are produced by advertisment, film and other media. And as you describe, it seems to be that mythologies can be changed by media. No I hadn’t come across this name, but from the little I’ve just read about him on Wikipedia, I think I would agree with him on many things. it’s amazing that Roland Barthes wrote his main works in the 50s of the last century but his writings are still up to date. Unfortunately, he got praised from the wrong side, meaning that in post-modern advertisement his ideas are used to seduce people to buy even more stuff nobody needs. Oh that’s too bad. I suppose no one has much control of what people do with any great ideas we might have. I need silence. And I seek it out. A great post. we regularly need silence as well for not losing ourselves, being creative and staying good-tempered. 💚 The same wishes back to you! Wonderful portrait of Kagge. Says all that is needed. I am often alone now, but silence is still elusive – my thoughts are so noisy! But “Collecting friends like stamps… happy about every like… addicted to recognition..” all too true! . Ouch! Music – especially Bach – soothes me but does not satisfy. Are we not social creatures who need others? we love the music of J.S. Bach very much too. It’s very clear and his variations are meditative. Nevertheless, we need silence as well. We have the problem that listening to music our mind is going to wander around. We suppose we can’t really stop our thoughts but we can send them into the background not identifying with them. There is no doubt that we are social beings. But we experience being social and open to others we have to be centred and grounded. And isn’t that what silence does? Let’s put it like this, there are times for being social and communicative and there are times for silence. Erling writes about the mechanism of satisfaction too. His theory is, we are often kind of half satisfied and therefore we go on and on hoping we can find full satisfaction. We suppose consumerism is based on this mechanism. it’s one of the reasons we love snow that makes our world silent. Snow and ice eliminate noise. And where is no noise there is only us. As we wrote to Peter in our answer to his comment (just above) silence and communication with others are complimentary, we need both. There has to be a balance but nowadays it seems to us that communication has grown at the cost of silence. I agree wholeheartedly. In many ways, we have come to mistrust silence because we are losing the ability to understand silence. Have a wonderful day, my dear dear friends. Liquid sunshine in Vancouver. Hugs! silence was nearly always seen as positive in the European tradition of philosophy. For us, the first association is the contemplation of monks. When I was a student, the professor entered the auditorium and said "silentium!" meaning that we have to concentrate now. For me, silence and concentration are closely related. Before Siri 🙂 and 🙂 Selma wrote about Kagge's book they asked their fairy-friends in Germany and the Benelux-countries what they associate hearing the word "silence". Without any exceptions, they associated "meditation", "concentration", "centering" and "healing". But it seems to be different in North America. In our perception, North America is much more connected with noise than Europe (maybe a prejudice?) and in Europe, the North is more associated with silence than the South. It's typical that a Norwegian writes about silence, isn't it? As blogging is quite international it's not surprising that it shows cultural differences. I see it as positive as it makes us aware that we come from different cultural backgrounds. Thank you very much to make us aware of this differences. In an answer to a commentary (a couple of commentaries below), Dina writes about the demonstrations of children against their parents who are addicted to social media, cell phones and computer screens and have hardly any time for them. That happened several times in big German cities but I couldn't imagine such demonstrations in North America – but maybe I am wrong? Here it's pretty warm and we had sunshine the whole day long. Yes!!! There is a part of us that wants to accomplish “important tasks” in our daily routine. We use this as a benchmark of success – YIKES!!! Meditation and contemplation have been replaced by bar charts and progress reports that record and turn our activities into utility or profit. I have added “silentium” to my vocabulary. Many, many hugs to the Fab Four of Cley for our wonderful conversations. Sorry, I just see that Dina’s answer is in German. our concept of success needs questioning, I suppose. 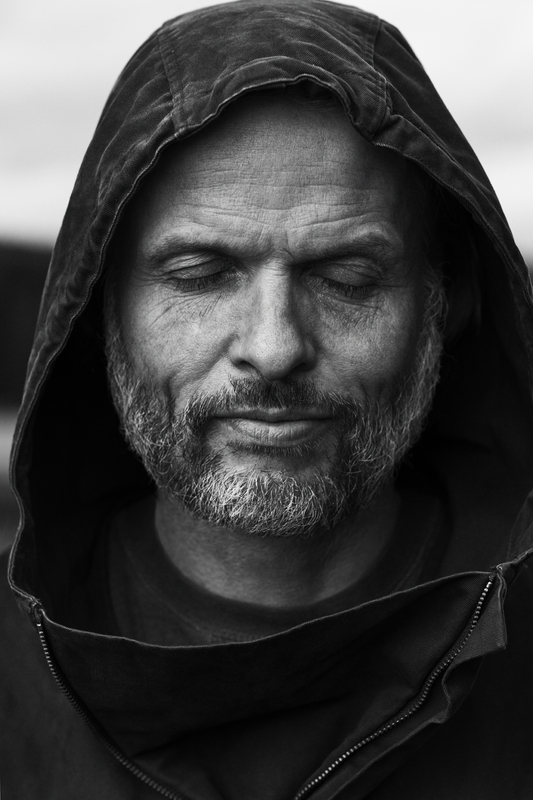 Ambition and success quite often destroy our inner stillness and are reasons for noise as Erling Kagge defines this word. I think, when you are young is the time for ambition and trying to be successful, in your third age one should become wise and let go this pressure of society. As I experience it, it is easier not to live through others when you are older. In this way getting old is quite a bliss. „Die größte Offenbarung ist die Stille“, schrieb Laotse im Tao Te King. Wie aber gelingt es euch, zur Stille im Inneren zu finden? Ich finde es schwer. Das Buch von Erling Kagge werde ich mir dieses Wochenende besorgen. Vielen Dank für den Tipp! wir haben unsere Probleme, Stille zu finden. Wir müssen uns jedes Mal wieder darum bemühen. Wenn wir z.B. in die Natur gehen, ist für uns der erste Schritt, uns bewusst zu werden, welche Gedanken da alle in unseren Köpfen herumschwirren, Der zweite Schritt besteht darin, sie in den Hintergrund treten zu lassen. Das ist für uns der schwierigste Schritt. Wir rufen oft unsere Gedanken zu Ordnung, indem wir ihnen sagen, dass uns jetzt nicht belästigen sollen. Außerdem scheint es uns wichtig, sich nicht mit seinem inneren Monolog zu identifizieren. Wir nehmen die Haltung ein, dass wir sagen “OK, das kennen wir schon und nun Klappe halten!” Das klappt nicht immer, aber meistens. Masterchen meinte auch, dass man nicht zu ehrgeizig sein darf. Manchmal klappt es mit der inneren Stille und manchmal eben nicht, was auch OK ist. Vielen Dank für die Gedichte 🙂 🙂 Wir lieben ja den Winter. Es ist eine Möglichkeit, sich leer zu machen, sich auf die fallenden Schneeflocken zu konzentrieren. Herzlichen Dank für deine ausführliche Antwort, Klausbernd! Seid ihr nächstes Jahr auch auf der Frankfurter Buchmesse? eigentlich gehen wir nicht mehr auf die Buchmesse (weder Frankfurt, noch Bologna – die anderen Buchmessen spielen eh keine Rolle), da ich ja nicht mehr im Buchgeschäft aktiv bin. Die nächste Buchmesse wird jedoch eine Ausnahme sein, da Norwegen das Gastland ist. Wir möchten dort viele unserer schreibenden Bekannten treffen wie Maja Lunde und Erling Kagge z.B. und natürlich auch dich. Das wird dann wie in alten Zeiten sein, als ich über 40 Jahre lang alljährlich zur Frankfurter Buchmesse kam. Näheres können wir dann telefonisch besprechen. we also thought that these pictures are that great that we renounced presenting our own pictures. We agree silence transports one into other spheres. It seems to us very important to experience that there is another world besides this noisy world. We are sure you will like Erling’s book. We saw on Erling’s website that he sold the foreign rights to the Netherlands. Wow! This was powerful. The photos are gorgeous. Well, Erling is a powerful and intense person. We suppose silence makes you powerful and intense because you are centred in yourself. Erstes Bild, bissel grell, man kann vor lauter hell fast nichts mehr hören. Das ist sicherlich ein Buch voller hilfreicher Einsichten. Bin allerdings froh, dass ich nicht an diese extremen Eckpunkte der Erde musste, es reicht mir auch schon so, auf dem gemütlichen Tanzreisepfad….keine weiteren Abenteuer nötig, drehe Pirouetten!!! Gurdjieffs Tänze fehlen mir bedauerlicher Weise noch in meiner Tänzesammlung, es wird aber noch, da bin ich sicher. Kann allerdings auch schon ohne Moves nicht gut Kopfrechnen, oje! Finde es äußerst dämlich hier in 3D herumhanitieren zu müssen, ohne spirituellen Körper oder wie das heißt…saudämlich…. Gestern tanzten wir Schneeflöckchen-Stopp-Tanz, jede ihren eigenen Stil, keine Form war gleich. Die kleine Alma, saß genervt vom Erfinden oder auch überfordert in der Ecke, Arme verschrenkt, machte nicht mehr mit: Ich bin eine ganz normale Schneeflocke! Heiliges Rinozerus, was könnte das sein? Eine ganz normale Schneeflocke?! näher an die Pole zu kommen, als ich ihnen kam, wäre mir auch zu extrem. Obwohl, wenn ich die zeitgenössischen jungen Explorer lese, scheint mir die psychische Herausforderung zu bestehen, wichtiger als die physische zu bestehen. Mit moderner Technologie und geeignetem Führer kann man fast jeden zum Pol oder auf den Everest bekommen. Aber warum? Dass man leidend eine Leistung vollbringt, finde ich eher dumm als eine Leistung. Ich würde das als Pseudo-Leistung bezeichnen. Oder wie Erling und Kollegen es sehen, es ist sinnlos, ja eher negativ, da es einzig der Eitelkeit dient. Erling sah seine Expeditionen vor über 20 Jahren als Selbstfindungserlebnis an, was mir schon eher einsichtig ist. Die Gurdjieff Movements kann man nur in einer Gruppe praktizieren. Es gibt einige wenige, aber hervorragende Lehrer. Klassischer Weise werden die Movements nur im Zusammenhang mit einer Gurdjieff Gruppe gelehrt, deren Prinzip es ist, dass man erst Gurdjieffs Lehre erfasst haben muss, bevor man die Movements vermittelt bekommt. Ich halte das auch für sinnvoll, da einem sonst nicht klar ist, warum man diese komplexen Körperbewegungen ausführen soll. Es geht ja nicht, um Bewegung um der Bewegung Willen, Ich hab’s so verstanden, dass die Bewegung den Geist klärt, wie der Geist die Bewegung klärt. Ohne dieses Zusammenspiel sind die Movements sinnlos oder nur exotische Gymnastik. Das ist ähnlich wie beim Yoga. Da hat die kleine Alma doch Recht, eine ganz normale Schneeflocke ist eine erstarrte kristalline Struktur. Sie selbst kann sich nicht bewegen. Wind und Gravitation bewegen sie. So gesehen, sind Schneeflocken passiv. Schneeflocken haben ihre eigene symmetrische Form, sind aber in ihrer Form erstarrt. Ein Vorläufer von Erling, der Walfänger und Wissenschaftler William Scoresby hat im Eis steckend in dem nach ihm benannten Sund wochenlang Schneeflocken gezeichnet und studiert. So, jetzt muss ich mich umziehen, da wir gleich mit Freunden essen gehen. Alma war eine sich schämende und wütende und gehemmte und gewohnt genaue Vorschriften zu bekommende Schneeflocke, die alles Unangenehme abgenommen bekommt. Potenzielle Gravitations- oder Windbringer verweigerten den Dienst, sie wollten lieber neue kristalline Erstarrungen erfinden. Wir werden sehen, was Wundervolles in der lieben Alma schlummert…. wir werden heute mit unserem exzentrischen Gärtner einen neuen Komposthaufen bauen und es uns sonst gemütlich machen. In der Nacht hat es geregnet, doch jetzt scheint die Sonne. Es ist angenehm warm, eigentlich viel zu warm für die Jahreszeit. Dir wünschen wir auch einen gemütlichen Sonntag. An inspiring piece. It encouraged me to purchase Kagge’s book It arrived today. Thanks for the recommendation. You are very welcome, dear Louis. Happy reading! We hope you will enjoy it as much as we did. Ein interessantes Buch, no doubt. Danke fuer die Inspiration und das silent interview, ebenso die anderen links. I love silence and try to have it daily. … In different forms. Have a lovely weekend! we love your bilingual reply 🙂 🙂 Vielen Dank! Wir versuchen ebenso, unsere Dosis Stille täglich zu haben. Dina and I always communicate like this, sometimes even mixing up three languages: German, Norwegian and English. Siri 🙂 and 🙂 Selma: Shame on you! You forgot Fayrish. Thank you for this very interesting post; I have added Erling Kagge’s book to my ‘must read’ list. To be able to find that inner silence, that peace and calm even when surrounded by other people is something I try to do as often as possible. I, like you, am fortunate to live in a quiet village and there are times during the day and night when all I hear is the wind in the trees and other sounds of nature. I know this is a luxury and that I am very fortunate now, as I have lived in London in the past, surrounded by constant traffic noise and people rushing about on their daily tasks. However, even living where I do I cannot always find the time and opportunity to have those times of calm that I need and this makes me feel quite anxious. There are certain tasks I perform at home that provide me with the chance to find peace; gardening, cleaning windows and ironing for example. I also have a voluntary cleaning job at a couple of local churches and I find being in those ancient buildings very helpful. the outer silence is not so hard to find for us. There is hardly any outer noise here like in your village. For us, the challenge is to find the inner stillness. There are special places where it’s easier to find it as you describe it. These are mostly old places like churches and old churchyards, remote castle ruins and monasteries, It seems to us that those places where people used to become quiet during the centuries are charged with a certain quietness like you describe it in the ancient churches. But even there it always takes a while to stop our inner noise, to stop our inner monologue bothering us. In social situations, we find it much harder getting quiet. Quietly listening and not immediately think about an answer is quite a challenge for us. Working on our own in the kitchen without the radio on is for us a perfect situation to become really quiet like you experience it while ironing. We worked the whole morning in our garden today. We noticed that we are much more centred and quiet when we forget about being effective, when we just do it. I agree; social situations are difficult as it is so easy to get caught up in the general mood and conversation of the crowd. Working without worrying about being effective. Yes, I can see that that would be good. to keep an inner quietness in social situations it helps to listen instead of responding as we experience it. On the other hand, silence in social situations radiates power. „Es gibt nirgends eine ruhigere und ungestörtere Stätte, zu der der Mensch flüchten könnte, als die eigene Seele. Gönne dir ständig also diese innere Einkehr und erneuere dich selbst“, sagte schon Marc Aurel. Erling Kagge und the Fab Four; ihr zeigt uns wie wichtig ist es, sich diese Stätte und ihre Stille zu suchen. Ich habe gerade angefangen dieses Buch zu lesen und bin begeistert. Die Abhängigkeit von Smartphones und social media sind alarmierend. Ich finde es an der Zeit, diese Geräte mit einer deutlichen Warnung zu versehen, wie die Zigarettenpackungen: Achtung, macht abhängig und unsozial! SUPER, deine Idee all diese Gadges wie mobile phones, die Zugang zu sozialen Medien bieten, mit einer deutlichen Warnung zu versehen. Rauchen hat ja immerhin noch den Vorteil, dass es sozial macht, während die Abhängigkeit z.B. vom Taschentelefon einen rasend schnell unsozial werden lässt. Erling K. erwähnt in seinem Buch, dass Steve Jobs bei seinen Kindern stark die Zeit der Benutzung ihrer iPhones einschränkte. Die Benutzung von Taschentelefonen und sozialen Medien scheint mir auch den Unteschied der sozialen Schichten zu vergrößern. Kindern von gebildeteren Eltern und besser Verdienen benutzen laut Statistik ihr Taschentelefon weniger (aber immer noch zu häufig, würden wir sagen) als Kinder von unteren Schichten. Was wir besonders an Erlings Buch lieben, dass er die unterschiedlichen Aspekte der Stille und deren vielen Dimensionen beschreibt. Man kann dieses Buch als kulturkritisch, soziologisch und ethnologisch, philosophisch und spirituell lesen. Endlich mal wieder ein Buch, bei dem sich einer selbst Gedanken gemacht hat, statt sein Denken an die Medien zu delegieren. Oh dear, oh dear, liebe Dina, da hast du mich bei einem Vorurteil erwischt. Da hast sicher Recht, ich denke gerade an einen früheren Freund von uns, für den außer Instagram nichts mehr existiert – well, Vater von 4 Kindern. Was ich interessant finde, warum Frauen sich im Schnitt länger im Netz aufhalten als Männer (was nicht unbedingt meiner Beobachtung entspricht). Lieben oder benötigen Frauen mehr den (sozialen) “Noise” als Männer? I very much enjoyed this exploration and reverence for silence, Fab Four. Thank you also for the introduction to Erling Kagge, much appreciated. We are just starting to read Erling’s next book about walking. Unfortunately, it is not available in English yet (therefore we read it in the German translation). 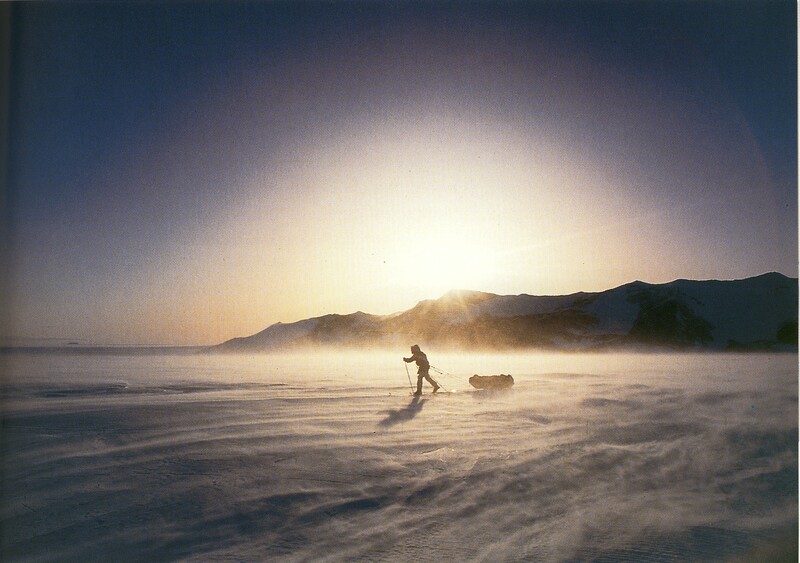 Erling Kagge is seen as the most prominent living explorer – or shall we say “adventurer”? It’s a new generation of explorers. They are not that pretentious as Ranulph Fiennes f.e. They are intellectual and ecological orientated, much better organized and don’t show off with stories about frozen limps they amputate themselves. We find Erling very sympathetic and friendly. It is easy to communicate with him. Thank you for introducing me to this visionary. you wouldn’t believe it but Dina is a fan of Winnie the Pooh as well. Dina, that is a life-changing interview. I love being alone but hadn’t thought of it in those terms. I have a lot to think about now. Kagge’s book about silence had quite an influence on us as well. It reminded me a lot of the teachings of my Gurdjieff teacher I had many years ago. Now I just finished Kagge’s following book about walking. That isn’t translated in English yet so I read it in German and Dina read the original in Norwegian. This Essay “Gehen. Weiter Gehen” complements the silence-book. We always had a vague feeling that silence is basic for being creative and for being centred but we weren’t really aware of it before reading Erling’s book. We only knew Erling as “the most prominent living explorer” (actually ‘adventurer’ would be the better designation) before we came these two books. reading this book had the same effect on us. We try to have at least one hour of silence daily. do you know “Mrs. Chippy’s Last Expedition”? It’s the remarkable Journal of Shackleton’s polar-bound cat with an introduction of Lord Mouser-Hunt, FRGS. You will love it. ” QUIET … The Power of an Introvert in a World that can’t Stop Talking” Have you read it? Unfortunately, we did not read “Quiet …” We surely will have a look at it. “Silence …” is not only about not talking it’s about every noise, about the pollution of our world with pictures, words and all different impulses. We read it as a book about not-doing as well. As others have said, that portrait is very striking. You can write about silence any time and I will read it. Thanks for introducing us to this book. I must put it on my reading list. It sounds expansive and thoughtful. We love silence although it was quite a challenge to make Siri 🙂 and 🙂 Selma love it too. But now they are fans of silence as well. We just read his following book about walking which is as thoughtful and complements his silence book. Unfortunately, it’s translated in most of the European languages but not in English yet. Really interesting article and indeed concept. Horror vacui – there’s a lot of it around! it’s amazing that from the times of Aristotle people were afraid of the horror vacui, the fear of nothingness. It seems that in our times this fear has its peak quite similar as in the time of Baroque. Silence has become a precious gift, hasn’t it? And I think there are many different kinds of physical silence, if one has the chance to experience quiet places. A quiet high desert plateau is different from a hushed forest, a muffled snowstorm, etc. Then there are the other silences, the quieting of the mind, the reduction of visual input, etc. The silent interview is clever. It’s been a thought-provoking post, Dina, so thank you. indeed, there exist many different kinds of silence as there are as many different kinds of noise. Since we all four read this book we live more silently than before, we don’t turn the radio on while cooking, we reduce the pictures on our walls and the times we spend in the net. This book influenced us quite a bit. That’s very interesting, about the changes you made at home. We are lucky that we’re comfortable enough to make such changes, aren’t we? I will keep the book in mind. Have a good week! indeed, we are privileged to be able to make these changes. Silence is a matter of privilege, isn’t it? It’s a privilege on many levels, the way you are living, how psychological stable you are and how harmonious you are able to live and in which surrounding you can afford to live, etc. Klausbernd. So viele Posts und du gibst überall Antwort. Du hast jedenfalls meine Bewunderung. Ja was du über den Buchinhalt schreibst und wahrscheinlich auch die Aussage des Buches ist, hat für mich zwei Begriffe die zwar nicht gleich, aber im Verhalten unseres Menschsein nahe verwandt sind. Das ist einmal die Stille und dann die Ruhe. Stille ist für mich nicht das Gegenteil von laut, sondern wie in der Musik die Pause zwischen den Tönen. Also absolut nichts. Es gibt Flecken auf unserer Erde wo man die Ohren noch so spitzen kann und man hört nichts. Sand- und Schneewüsten bei Windstille, oder auf Vulkanasche. Wenn man in so einem Umfeld ein Wort ausspricht, so dringt es dann kaum bis zum eigenen Ohr. Die Bilder des Buches haben mich an meine eigene Erfahrung erinnert. Mit Schiern und Schlitten auf dem Inlandeis von Ostgrönland. Wenn man sich dort gar nicht bewegt ist absolute Stille. Ich bin der Meinung, dass es im heutigen Leben vieler Menschen gar nicht um die ständige Berieselung von Musik, oder Bildern geht, um ein abhängiges Verhalten zu entwickeln, sondern dass viele Leute die Stille nicht mehr aushalten. Sich echt fürchten. Stille aushalten kann nur ein Mensch der in diesem Augenblick vollkommen stark und mit sich vollkommen ausgeglichen ist. Hier beginnt für mich, dann die Ruhe. Immer wieder schön euren Blog zu besuchen. Liebe Grüße. Wie du auf meinem Blog lesen konntest bin gerade am Abbiegen von meinem Lebensweg. Wenn ich am Ziel bin, dann werde ich wieder meine Gedanken in den Blog eingravieren. da haben wir echt etwas tief Beeindruckendes gemeinsam. Auch ich erlebte die Stille Ostgrönlands (inner Scoresby Sound area) vor Jahren. Dort hatte ich das Gefühl, dass die Stille, horche ich in sie hinein, zum Raum wird; sie bekommt eine Art unfassbare Tiefendimension. Zum ersten Mal hatte ich dieses Gefühl in Nordschottland. Ich stand dort auf einem Felsen, es war absolut still, und plötzlich umfing mich das Gefühl, dass ich mich ausweite und das alles in mir ist, was ich sehe. Die Erfahrung von Stille hing und hängt für mich oft mit dem Gefühl der Erweiterung des Raums zusammen. Wir, die Fab Four of Cley, leben so, dass wir zumindest im Winter über Stunden keinen Laut hören außer Naturgeräusche. Das hilft uns sehr, um auf Ideen zu kommen und auch, ehrlich geagt, die süßen Früchte des Müßiggangs zu genießen. ‘Silence’ kann ja im Englischen ‘Stille’ und ‘Ruhe’ bedeuten. Wie du schon schreibst, die beiden Begriffe hängen eng zusammen. Ich vermute, ohne innere Ruhe ist die äußere Stille unerträglich. Stille und Ruhe hängen zudem mit Leere zusammen. Zumindest in unserer Kultur ist diese Vorstellung eher negativ besetzt. Sagte noch Mies van der Rohe ‘less is more’, so reagierte sogleich 1966 der amerikanische Architekt Robert Venturi mit der Ironisierung “less is bore’ darauf. Typischerweise hat speziell die amerikanische Kultur mit der Reduktion von Impulsen, was letztendlich ‘silence’ ist, große Schwierigkeiten, da dies angstbesetzt ist. ‘Silence’ bzw. Ruhe und Stille ist ja eine Gegenposition zu dem “ich konsumiere, also bin ich”. Für dein Abbiegen von deinem Lebensweg wünschen wir dir alles Gute und viel Glück. Ein Umzug ist stets eine Herausforderung, möge sich alles einfach und zu deiner Zufriedenheit regeln. Now we are very curious. We will visit you immediately. Siri und Selma, bitte euer Masterchen mal ganz feste lieb drücken und ihm ein “Happy Birthday” ins Öhrchen singen, aber leise…. Es kann auch laut sein, nur nicht zu laut!! wir haben gestern richtig toll Masterchens Geburtstag gefeiert. Aber du glaubst es kaum, da werden wir Buchfeen voll neidisch, der hat ‘ne ganze Woche Geburtstag gefeiert und dazu noch ständig tolle Geschenke bekommen 🙂 🙂 Wir haben ihm eben ins Öhrchen gesungen das “Happy Birthday” von dir. Da hat er sich SO sehr drüber gefreut, echt! Gestern haben wir nicht ohne eine volle Dosis echt englischer Ekzentrik vorm Kamin gefeiert. Jetzt ist aber Schluss mit Feiern – obwohl Masterchen meint, dass es voll blöd sei, dass der Geburtstag schon vorbei sei. “Ein Tag ist viel zu kurz!” ist seine Überzeugung. Leise in Buchfeenart erinnerten wir daran, dass er bereits seit einer Woche feiere. “Auch zu kurz!” war seine bestimmte Aussage. So feiern wir fröhlich weiter, bis wir nicht mehr können. Wenn ich als Kind, viel allein gelassen, in Steinbecks Büchern las, fühlte ich Hoffnung. Gerade fiel mir auf, dass bald wieder Weihnachten ist und ich die Bücher vom letzten Jahr noch nicht gelesen habe. Am Dienstag haben wir nach der Stille “automatisches Schreiben” mit der Regenbogenbaumkerze geübt. Sogar beim Theaterworkshop am vorletzten Wochenende “Wir findet mich mein Stück”, kam das dran: automatisches Schreiben. Sehr cool! Theaterpädagogen öffentlicher Schulen…Hoffnung! Man darf nicht das Leben vergessen, einfach auf der Wiese stehen und atmen, immerhin darf ich jetzt von der Schule nach Hause laufen und bin mind. 4 Minuten an der Luft! auch ich habe als Teenager gerne Steinbeck gelesen. “Früchte des Zorns” las ich zuerst. “Josef und seine Brüder” finde ich den besten Roman von Thomas Mann, feinste Ironie und witzig. Die irischen Elfenmärchen – ist das die Ausgabe von Hetmann? Die haben wir auch mit Freuden gelesen. Fürs Schreiben brauchen wir stets völlige Stille, eine Stille, die mit nichts ablenkt. Wir haben allerdings nie automatisch geschrieben, sondern jeden Text genau vorher geplant und dann nach einem Strukturschema geschrieben. Die meisten zeitgenössischen Autoren gehen von einer Idee für das Ende ihres Buches aus und konstrurieren dann genau den Weg dahin (so wie auch Filmdrehbücher in Hollywood geschrieben werden). Ein überzeugendes Plotdesign ist das, was den heutigen Leser begeistert. Jetzt beginnt hier die Zeit der Stille. Die Touristen kommen erst wieder um Weihnachten herum und so ist man unter sich und gar ganz alleine am Strand. Steinbeck würde also den Schluss mit der Milch gebenden Frau von Anfang an planen, meinst du, wenn er es heute schreiben wollte. Bei uns gab es gerade lecker Spaghetti Marinara und Salate, muss jetzt los, Danke und wunderschönen Sonntag Euch! wir machten einen schönen Ausflug heute und danach aßen wir Stollen und tranken leckeren Kakao dazu. Ein würdiger erster Advent. Bei den Elfenmärchen handelte es sich übrignes um die Grimm-Sammlung. Danke für den Tipp mit Hetmann! wir haben bereits unseren ersten Marzipanstollen verputzt. Der war lecker, “voll yummy yummy” wie Siri 🙂 und 🙂 Selma meinten. Die Engländer kennen nicht den Stollen, sie haben ihre Mince Pies, die wir längst nicht so lecker wie guten Stollen finden. Dafür gibt es jedoch hier den leckeren Christmas Pudding, bei dem an Alkohol und Kalorien nicht gespart wird. Nun beginnen wir gaaaanz langsam Stück für Stück unser Haus weihnachtlich zu dekorieren. Heute fingen wir an. Der Höhepunkt ist das Aufstellen des Weihnachtsbaums kurz vor Weihnachten. we very well know your feeling of ending up being too secluded. But we have to admit sometimes we love being secluded and we need our times of being secluded. On the other hand, we love face to face contacts as well. We need these too. It’s all a question of the doses, isn’t it? Yes, it’s really about finding the balance, which of course differs from one person to another. Thank you very much 🙂 🙂 🙏🙏 for mentioning this post about silence and to refer back to it. Commenting at yours helped us to become even more aware of what silence really is for us. Fantastic post! It’s incredible how loud silence speaks to us when we pause and take it in. we absolutely agree silence is speaking to us when we listen to it. It tells us so much about ourselves. we just found this quote on the blog of our dear friend Clanmother Rebecca (Lady Budd). Chaim Potok was a USamerican rabbi and writer. We have never seen an interview like this before. Great idea, isn’t it? Aw how lovely! Do enjoy it to the mostest. My love and best wishes for the season to the Fab Four. We bought a string of fairy lights that would have been more than enough for 5 Christmas trees. So Siri 🙂 and 🙂 Selma artistically wound it around and around our dear little tree. Seeing our tree wrapped in lights we were shocked but then … everything changed when we switched on the lights. It is looking GREAT! We only decorated it with 7 red Christmas tree balls and it really radiates a twinkly fairy atmosphere, ideal for celebrating the winter solstice. This week is Christmas cookies baking week. We love it and only a few survive to Christmas. That sounds so warm and lovely. I can envision the merry picture at your end. I am a fan of the fairy atmosphere and all goodies that go with it. Thinking of those cookies and feeling (nom nom) happy here! We are wishing you an easy travelling to France. Have a happy holiday season and all the best for the New Year. May all your wishes come true. We are hoping it shall be trouble free. All the best for the year end to you and a wonderful start to the new year. Cheers. Gestern habe ich mal einen total leckeren Holunder Apfelsaft von Heike probiert, seeeehr bekömmlich! Herzlichen Dank nach Cley, zu Siri und Selma und den beiden “Großen”!!! Gerade grübele ich über das “Rabbi(t)- Whole”, suche den guten Ausgang der Geschichte…. Liebe Leute, ihr habt also 7 Kugeln aufgehängt, gibt´s da mal ein Pic? Wäre das nacharmenswert? Dann könnte ich meine Weihnachtsdeko Kiste endlich entrümpeln. In den letzten 30 Jahren als Tanzlehrerin sind so ca. 150-180 Kerzenständer zusammen gekommen und man kann echt nicht alles anzünden!!!!!!! Viel Freude beim Backen und weiter eine schöne Vorweihnachtszeit! Die Bürgermeisterin pflanzt noch paar Bäume, wenn ich das Geld dieses Jahr noch nicht brauche, voll gut!!! Zu Weihnachten würde ich euch gerne mit Wein beschenken, Biowein von Reinharts aus Friedelsheim, die steppen bei mir seit einer Weile….try again please….das Päckchen wird diesmal ankommen, hoffe ich…. zuerst einmal GRATULATION zu dem Geld der Bürgermeisterin. Das ist schon toll in Deutschland, dass die Grünen so stark sind. Dir großes Lob und feinsten Feenstaub, dass du eine so gute Arbeit machst. Tja, unser Weihnachtsbaum … Gestern probierten Siri 🙂 und 🙂 Selma alle Programme unserer Lichter aus, was es da für ein Blinken, Dimmen und was nicht alles gibt. Auch wir haben aus unserem Gartenschuppen eine riesige Weihnachtskiste hereingeholt, aber nicht einmal ein Zehntel benutzt. Dina und Masterchen stehen ja auf skandinavischen Minimalismus. Wir sind völlig verblüfft über all deine Kerzenständer. Wir haben hier in skandinavischer Tradition auch immer seit einer Woche überall Kerzen brennen, aber so viele Kerzenständer wie du haben wir nicht. Wir glauben, Dina würde die alle benutzen. Sie ist nämlich kerzensüchtig 😉 Das ist man wohl in Norwegen. Schon einmal im Voraus gaaanz herzlichen Dank für den Wein! Wo ist denn Friedelsheim? Welch lustiger Name. Dinalein ist gerade beim Weihnachtslunch von National Trust, bei dem sie als Seal Warden arbeitet. Sie sollte in ‘Christmas attire’ kommen, das heißt mit Weihnachtsoutfit. Du hättst dich schief gelacht, wie sie als Weihnachtsfrau aussah. Das stand ihr richtig gut. Wir haben z.Zt. feines Wetter, kalt, so knapp über Null, und sonnig. So jetzt müssen wir Holz für unseren Kamin hereinholen und dabei Eichhörnchen und den Vögeln an unserer Futterstelle guten Tag sagen. Mein Opa heißt übrignes Wegener mit Nachnamen, das ist nicht witzig!!! Versteht ihr, ich brauche jetzt viiiiiiiiiel Yoga und Stollen!!! Also, liebste Buchfeen machts gut, haltet euch tapfer-verspielt, alles wird gut, wenn es das nicht schon ist…..
Carl Braig, der 1923 starb (ich glaube in Freiburg), übte einen großen Einfluss auf Martin Heidegger aus. Er war Theologe und Philosoph, dessen Schriften heute jedoch fast nicht mehr rezipiert werden, da er im Schatten von Heidegger steht. Übrigens haben wir beiden Buchfeen Heideggers Schriften nie verstanden und selbst Masterchen tut sich mit ihnen schwer. Ehrlich gesagt, kann er das ganze ‘Geseinse’ nicht ab und politisch ist ja Heidegger dazu noch sehr fragwürdig. Alfred Wegener ist uns allerdings wohl bekannt sowohl als Polarforscher als auch als Begründer der Theorie der Kontinentaldrift. Er starb 7 Jahre nach Carl Braig beim Überqueren des grönländischen Inlandeises. 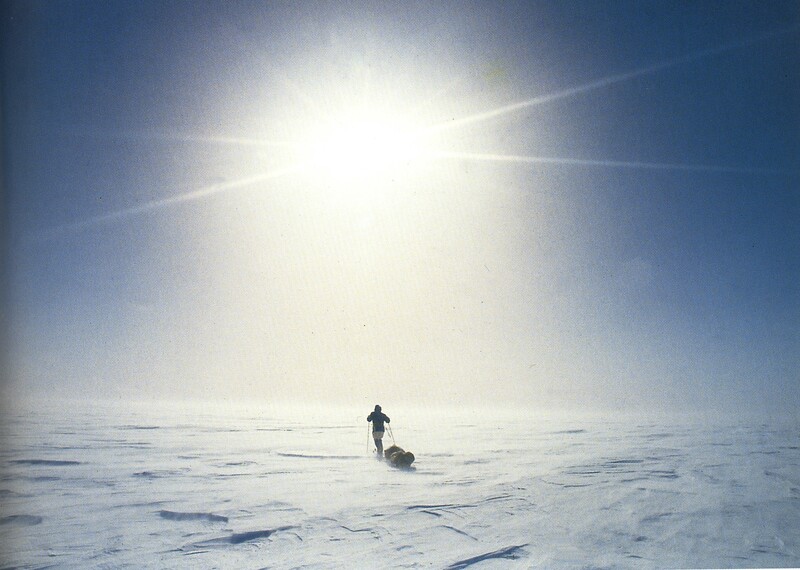 Nach ihm ist das berühmte Alfred Wegener Institut AWI für Polar- und Meeresforschung benannt. Super, coole Infos! Danke!! Gehe jetzt mit dem Jonas Glühbirnen und Leuchtstoffröhren kaufen! Morgen kommt unsere neue Couch! Herzliche Grüße und schöne Woche euch! we absolutely agree with your great commentary. Thanks a lot! We need silence as well and times when we slow down. Fortunately, we live in a quiet area. Wow! Fabulous words and articulated perpective placed alongside the references and photo selection. I turned on my speaker, and was impressed again when I realized the point there as well. I agree, I see so many folks with screens before them. This is the only social media in which I participate, and it is rewarding. However, it is not rejuvenating like depolarizing oneself from the new age with bare feet on the Earth, surrounded by nature (and lizards, of course). thanks a lot for your kind comment. For most of us, except Dina, blogging is the only social media we use (and sometimes we think even that is too much). We love blogging like you do but only if it leaves us much time for real communication and many other joys like being in nature. thanks a lot for reblogging our post 🙂 🙂 It’s great!